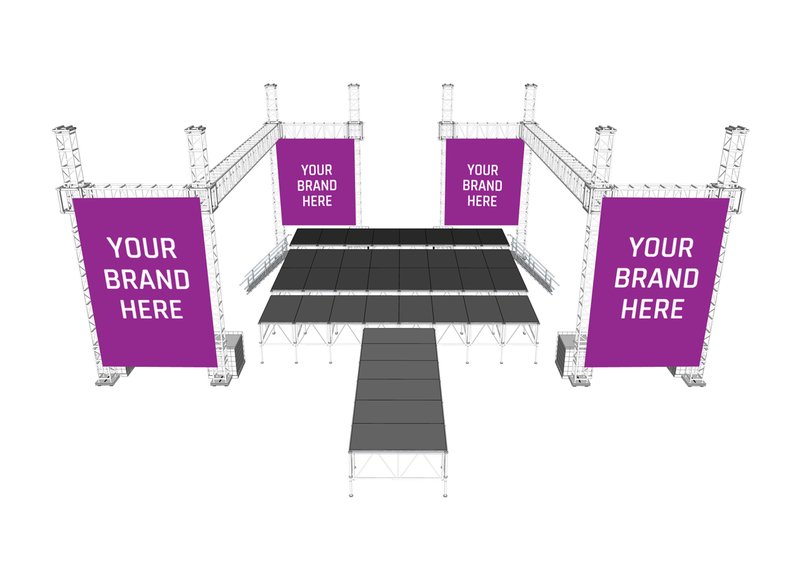 Sponsored Stages is a unique opportunity for events to acquire their events, indoor stage, outdoor stage, LED screen or even a catwalk and perhaps some of the technical elements for free and businesses that want their brand in front of a target audience a cost effective solution. These days the cost of producing events successfully and safely is increasing so more and more events generally need to acquire sponsorship to bring the event in on budget, this is the solution! With advertising costs soaring and competitors fighting for brand dominance businesses need to position themselves right in front of their customers, this is the solution! With all types of event stages, LED screens and infrastructure for your event and potential sponsors, we assess the event requirements with the potential sponsors and their specific criteria and match event and sponsor to provide a win win solution.